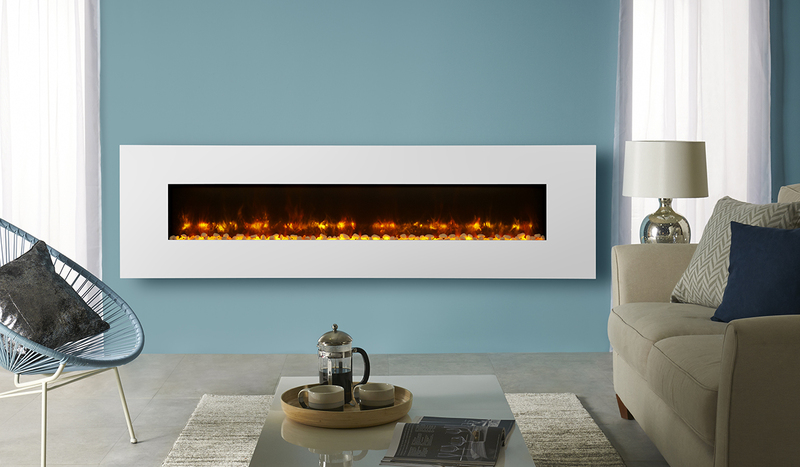 An exciting range of new wall hung electric fires by Gazco, which add a sense of modern, minimalist style. 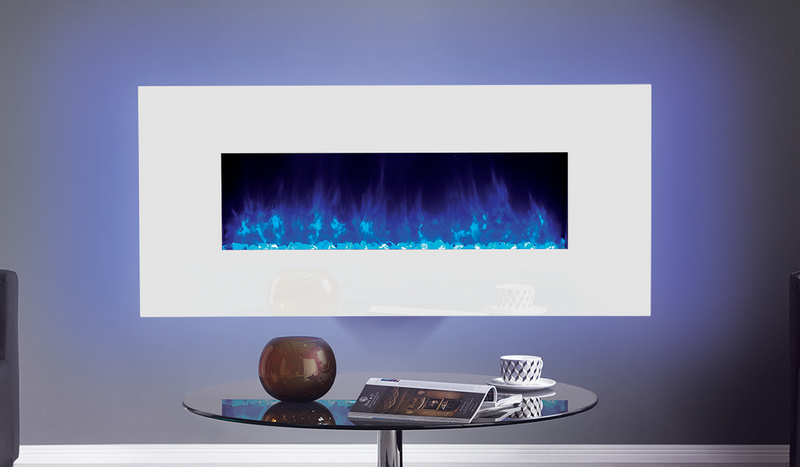 The gloss white glass frame with LED backlights contribute a wow factor to any room. 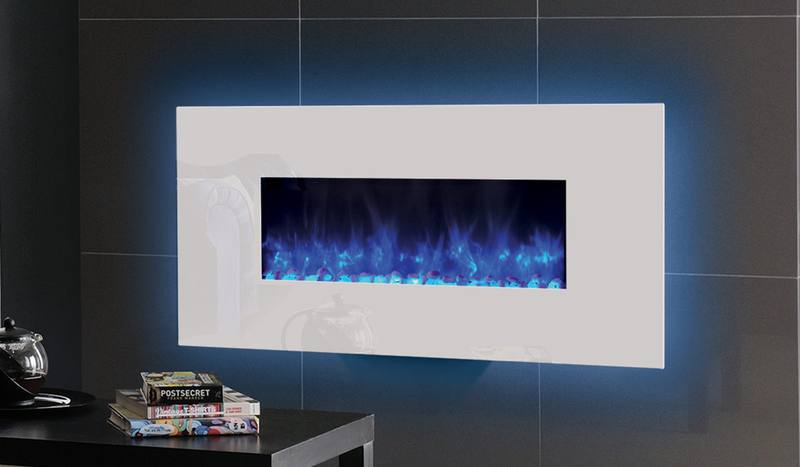 This range of electric wall hung fires are perfect for rooms with limited hearth space or for those who want to create a feature without a traditional fireplace. See Radiance Black Glass, Radiance Steel and Inset Radiance fires here.